There are two disclaimers here. The author is Commissioner, Coimbatore Corporation, and is a well known motivational speaker. I wanted to review this personally as I thought this will be a different one coming from the author / speaker I know and have had the opportunity to listen to. The story is a very simple one of a IAS aspirant and the way to his success amidst the whole drama of his personal life, the change of syllabi and how he handles them with elan. Vishy is he aspirant and he doesnt make his cut the first time, and then what does he do? Simple propose to his girlfriend for marriage… It might look very cinematic but Vishy is a different character who makes the cut understanding the context. The narration gets top marks because this could have been a 400 page story. But the author nails it in such a straight forward narration and gets us closer to the characters with ease. The usual tribulations of boy in love and the parental pressure apart, the positives makes this story a very easy read. The anecdotes on Dhoni perhaps is the best in terms of trying to bring home the point of equanimity. That picture that has Dhoni not being on high even after winning the World cup is a big motivation for everyone to take life as it comes. The other side of the story is the idea of time management especially during the exams is worth emulating. The Never Never Give up idea is very well presented here and this applies to any of the situation that we are in not necessarily in the context of preparing for the civil services exams. The love story part is very cinematic in a way, but thats ok given the way the story moves and yes you could expect people in Delhi too without any hint of whats in store. I loved the characterization of Vishy’s father and mother, and the way Vishy responds to the medical emergency two times when he has to take the exam the next day morning. I think there is a message for the parent folks out there on how to respond or rather react to the kids exam results or how to take decision for the career. I am sure Dr. Vijayakarthikeyan has more up his sleeves and wish him all the very best for his future works. Looking forward to having his next work at the earliest. What does a 24-year-old man want in life? Keith has both. He is a software engineer at a reputable company and has a girlfriend whom he loves a lot. Yet, there is something missing in his life. He is not even close to being happy. Only after losing his girlfriend, he realizes what the reason for his unhappiness is. He realizes that he is caught up in the wrong career. With time running out, he knows that he must switch to a new career — one that makes him happy. But, is 24 too late to do that? Is he making a mistake? Find out as Keith follows his heart in pursuit of an impossible-looking dream. There are motivational books now and here is one attempt with a nice reading novel in the plot. So at first glance there is a novel and there is a motivational part. 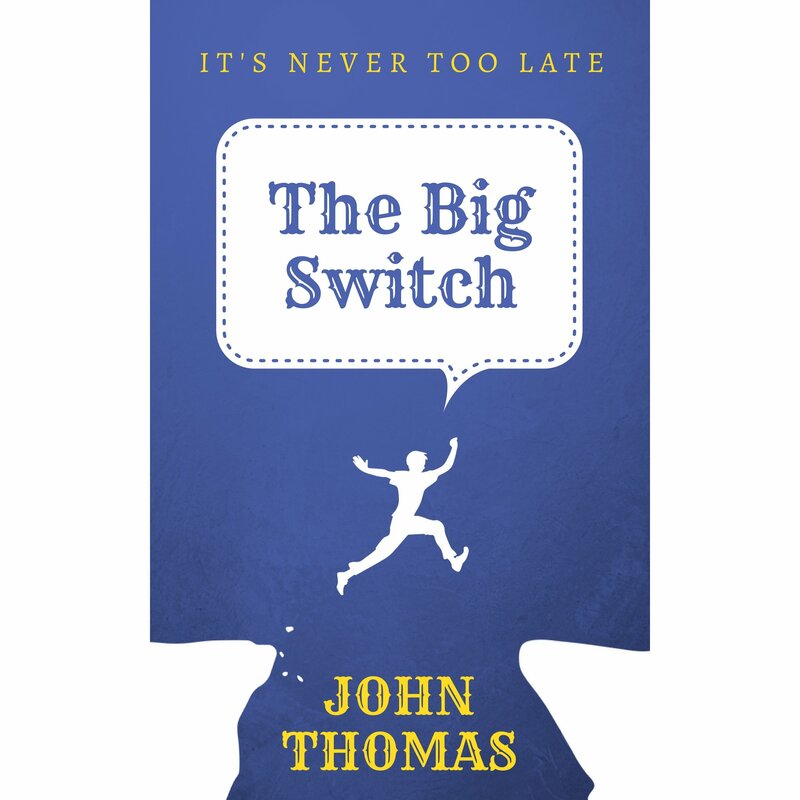 What you get in Big Switch is primarily a slice of life events which will help the readers see through the circumstances and motivate them as the character goes through different sets of emotional ups and downs. Lets be clear that life is not that fair as much as we would love to be, and author with his character Keith has rekindled hope for us a lot in the sense that we can see parallels of what Keith undergoes in his career and personal life. Sometimes the narrative I felt could have been better, he could have avoided the gossip chatter that comes once in a while. The characterisation is good and the language is simple and sometimes the author has taken liberty in making it conversational most of the times. I loved the sports part of it since that’s a very low priority in our lives especially once you are out of school. A good motivational book but I think it was a bit long for a motivational book having read small books of the same genre. But for a debut author this is a great one and look forward to more titles and little crispier version of the same. On the other side I would have loved a hard copy of the same, it would have made the reading faster especially with motivational books like these. One can identify with the characters at different points and the industry here is a giveaway and the project managers are all the same may be. It takes an individual to really work on his side and then take things up to make it happen with others. A good book and a nice read. I took three sessions to finish this, but this can be done in one session at a stretch. This review is a part of the biggest Book Review Program for Indian Bloggers. Participate now to get free books! You can download a copy of this book on Amazon kindle here. At the outset let me thank the author and her team for a very personal way that they sent the book. Yeah that beautiful mug too. Ever since that I have been following her on twitter and other social media, its has been a great way of looking at her work. 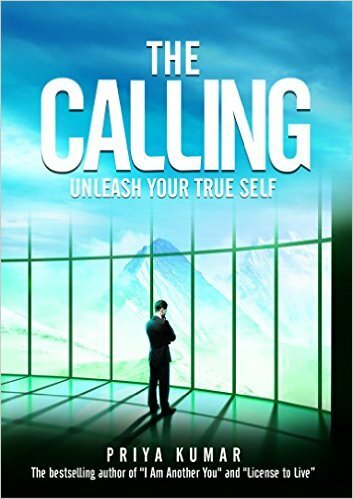 Here let’s look at the book The Calling – Unleash Your True Self, her latest one in print, I am sure she is working on the next, the cover design was a give-away on that. In everyone’s life there is a purpose and we live half our life not knowing if we are working towards that or if we even think about it. This book will reveal that there is a calling everyone needs to heed. The one calling that will make all the difference and gives you meaning in life. The story of Arjun a corporate honcho who comes across some surprises and ends up doing a trek to Hemakund. Along the way he gets answers to some of the most perenially thought of pretenses that we have acquired for ourselves. Confusions that we were thinking as clear answers simply because we want to assure ourselves that everything is fine. Even the so called meditation that we know has a different connotation at that height, if I may put it that way. The heights of the mountains are in a way an ideal to suggest that meaning might differ and you might get to know something that you always thought you know. The best part is we want to escape from this mundane existance of family for some, career for some and literally run away from all this and expect answers to be what we are and find out the real us. Quite often till the time we come across those moments of calling all those activities that are tagged spiritual have a totally different meaning and perspectives. Those moments come unasked and unexpected and thats the beauty of this. The characterisation of Arjun, then Chandu and the sadhu all make for a nice reading and well to get the most of the book I think it should be read and digested and made notes of. The author has a way with words and its quite straight to the reader and that makes this book easy and relatable to everyone at first instance. We probably don’t know what & how things will be, but if we know the true calling I am sure that will have a bearing on the way we look at this world, the way we interact and they way we live our lives. We are all Arjuns except that we are in a different role professionally / personally but then the Calling is there for everyone of us. A great read! You can buy the book here at Amazon or Flipkart. PS: Thanks to the author Priya Kumar for this opportunity and for that wonderful personal message of yours in the book. Feeling happy and that mug will sure serve the message time and again.